It might be the quietest island of the big Balearic three, but Menorca’s beaches are worth shouting about. Want to know more? We’ve picked out a selection of the island’s best beaches on the north and south coasts. Once you’ve picked your favourite, browse our best deals for Menorca holidays. This north-coast gem was purpose-built for holidaymakers, but it’s far from overdeveloped. It’s got just enough hotels, bars and restaurants to keep holidaymakers happy. The resort’s beach waves a Blue Flag and its shallow waters are perfect for paddling. 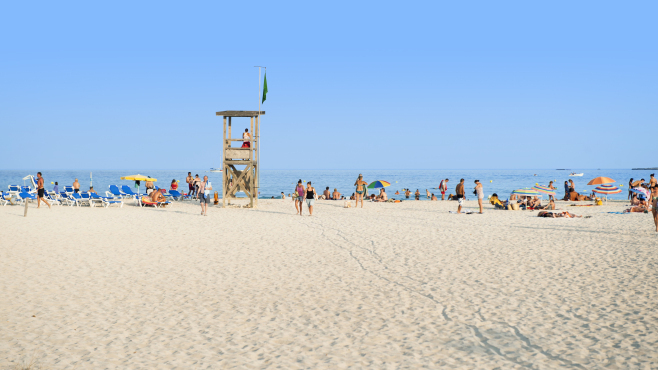 Lifeguards are on duty here, too, and the sand’s super soft and golden. Sound good? Book a break to Arenal d’en Castell – check out the Marina Parc Hotel. Punta Prima occupies a spot on Menorca’s south coast. It’s a great beach, complete with white sand and crystal-clear waters. This place is ideal for fidgets. Coastal paths wind their way around the area for hiking types, and twice a week, you’ll find a market just behind the beach. If you want to get involved with some watersports, the likes of paddleboards and kayaks are available to hire. Sound good? Book a break to Punta Prima – check out the Hotel Sur Menorca. 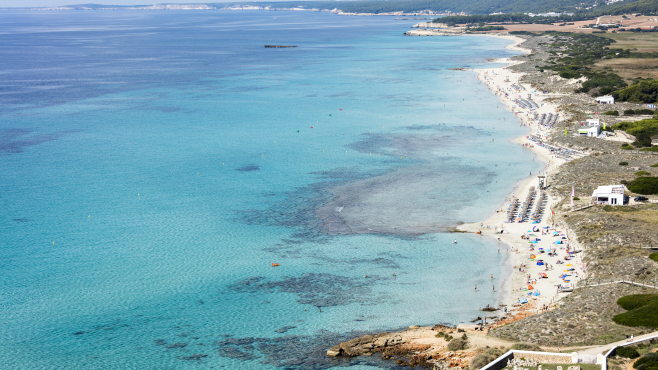 Son Bou sits on Menorca’s south coast, and it’s the longest beach on the island. It’s bagged Blue Flag status, and looking at its pillow-soft sands, it’s no wonder why. For food and drink, you’ve got a selection of beach bars and restaurants to choose from. What’s more, history buffs won’t have to go far to get their fix. At the end of the two-and-a-half kilometres of sand, you’ll find the ruins of a Roman basilica, which dates all the way back to 300 AD. Menorca’s north coast is a little more peaceful than the south. The landscape’s different, too – it’s mostly rugged and rocky, studded with pearl-like small coves covered in sand, like pretty Cala Pregonda. So, if you’re all about going off the beaten track, this is the coast for you. Meanwhile, in the south the pace is picked up. Don’t get us wrong – it’s still nice and chilled-out, but you’ll find more resorts, and more beaches, at this end of the island. They’re top-quality, too. Think aqua-blue seas and fine white sand. Pine tree-backed Cala Macarelleta’s one of the big names, and if you’re after elbow room, try Blue Flag-flying Cala Galdana. 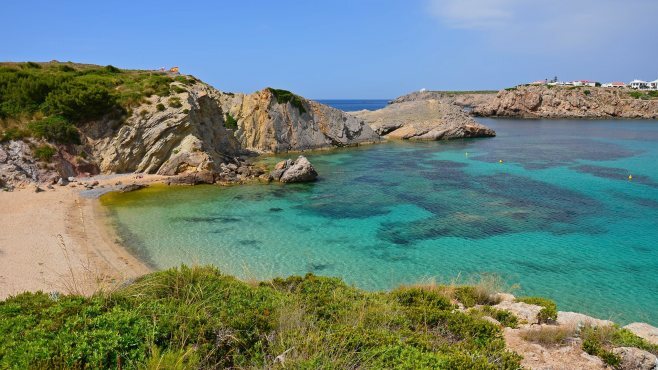 You’ll also find small unspoilt spots like Cala Mitjana. Want more options? We’ve got plenty of holidays on the beach on offer. And if it’s summer holiday deals you’re after, we’ve got you covered.Or, take a look at our best-beach picks in Italy and Vietnam.